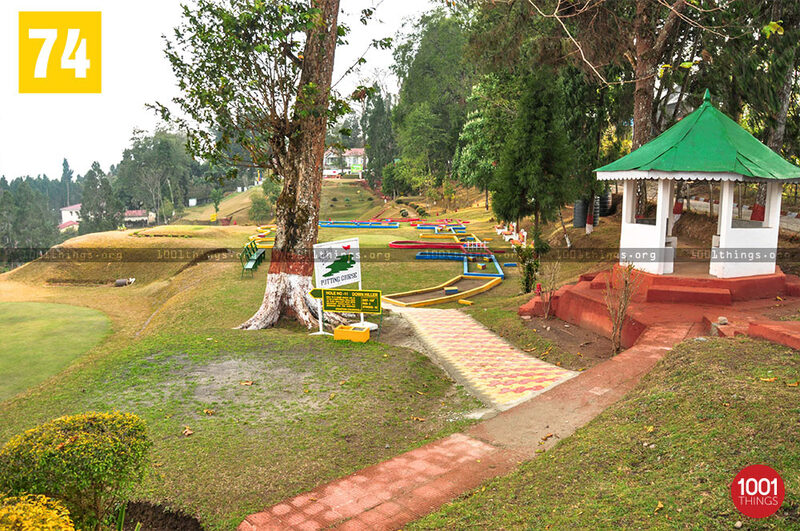 Kalimpong is a renowned hill station known for its panoramic landscapes and relaxing atmosphere. 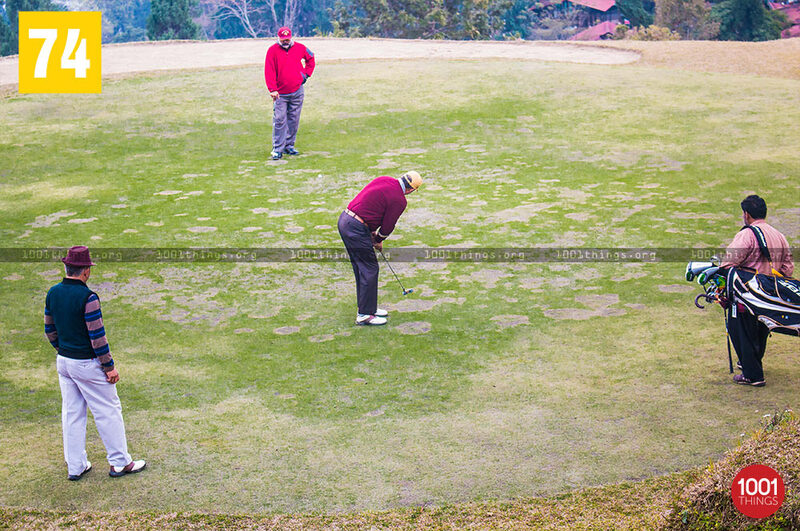 Located among the hilly terrains of the Durpin dara, lies the army golf course. 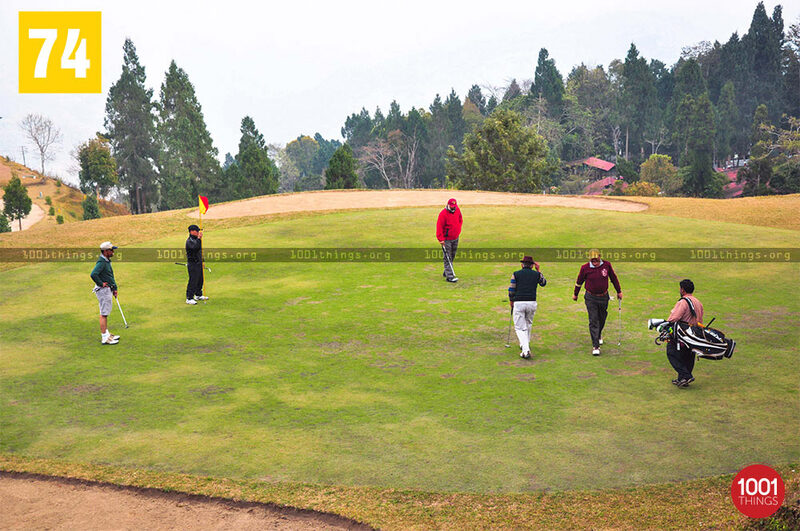 This 18 hole course is maintained by the Indian Army stationed at Kalimpong. Earlier the area used to be a mere grassland but later due to initiative taken by some of the army officers the authorities decided to convert this into a golf course. 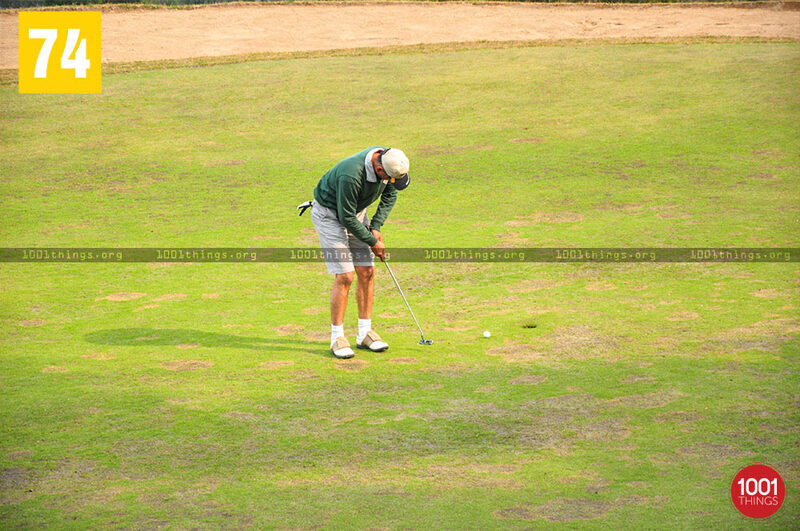 Golfing here can be a bit tiresome as some people can find difficulties in covering distance in the undulating slopes of the course. During early mornings army officers can be seen playing in the course and keeping themselves fit and running. The surrounding areas are covered with trees such as Oaks, Dhupi and Cypress which increases the splendor of the place. The best time to visit is during summer and winter as the sky is clear with the majestic Kanchenjunga unfolding in the back drop. Nature lovers will surely love this place because of the surreal charm of its surrounding which is completely unique in its own ways. Permission to play can be taken from the army post present there. One needs to carry along their own golf kits as no kits are available for hire there. The Army Golf Course can be reached on the way while travelling towards the famous Durpin Monastery. Kalimpong is well connected to major cities in West Bengal. 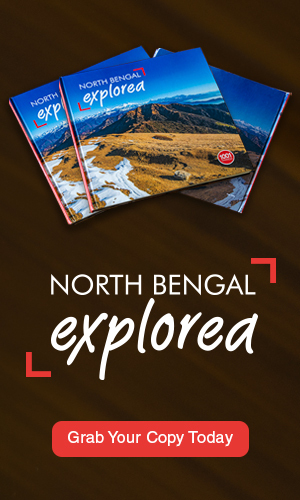 The nearest airport is Bagdogra at a distance of 74kms while NJP railway station is 70kms away from the town.